Home > Cost of Surgery > Is Cosmetic Surgery Covered by Insurance? Cosmetic Surgery costs a lot of money, so you might think it’s a good idea to check your health insurance policy to see if you can claim any of the cost on your policy. After all, you pay enough for it! What Surgery Costs May I Be Able to Claim? Generally, cosmetic surgery isn’t widely available on health insurance. If it was, you can imagine how many people would be booking in for liposuction, knowing that the cost would be met by whoever their policy is through. If you are having reconstructive surgery, you may have more luck, as the rules are broadly similar (although they vary from provider to provider) to the NHS. 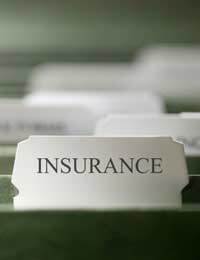 The best thing to do if you think you may be able to claim back the cost of your treatment through your insurer is to do your research before you even consider booking anything. Contact your private health insurance company to find out whether you are covered for your planned treatment, (don’t forget to include the cost of your first out-patient appointment.) It’s also worth speaking to a plastic surgeon before you go ahead and book anything, because a surgeon may know of an insurance provider that’s more lenient on the procedure it covers. Obviously, breast implants are unlikely to be available through a health insurance policy – although there are rumours that a specific UK plastic surgery underwriter is about to be launched. Most health insurers are reluctant to even cover for breast reduction surgery, because they consider breast reduction to be cosmetic and not therapeutic. Many large breasted women would beg to differ though! There are some policies that specifically cover the cost of any problems that arise after cosmetic surgery, although you have to search for them. Some policies cover specific types of surgery or procedure only, for example some breast clinics offer cover for post-operative infection or ‘capsular contracture’ of implants. Ask your surgeon when you have the first consultation whether the clinic or practice provides any form of insurance for work that they do – if anything goes wrong, you wouldn’t want to be stuck with the cost of extra work to put it right, and policies are generally not that expensive if you compare them to the cost of putting a procedure that you’re unhappy with right. What About If I Have Plastic Surgery Abroad? If you want to go abroad for a cheap facelift or perhaps a spot of liposuction in the sun, you could be paying more than the cost of the surgery if you don’t do your homework. At the present time, there is no specific travel insurance policy on the UK market which covers patients going abroad for plastic surgery. Most travel insurance policies make a point of excluding cover for any trips where the policyholder is planning to have any kind of operation, which also means that if you go ahead and have surgery while abroad, you could find that even if the surgery goes off without a hitch, the rest of your policy will be void as a result of it...and if you have an accident completely unrelated to your liposuction (or whatever you have done) you won’t even be covered for the cost of that. The most important thing when you are either looking to get cosmetic surgery carried out through a private insurance policy – or if you are having a purely cosmetic procedure carried out and want to ensure that there are no hidden costs if there are any problems, is to do your research before you commit to anything. How can I check my health insurance to pay for all my cosmetic procedures?